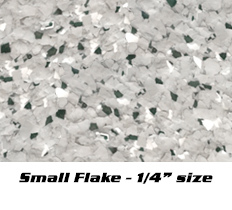 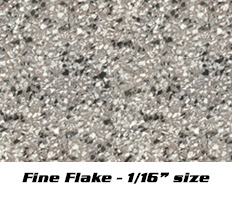 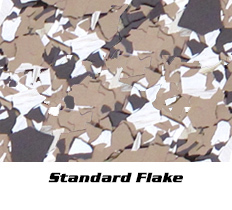 Our UFlek decorative flakes are offered in a range of sizes in twelve pre-made combinations as well as over 60 solid colors. The UFlek flakes should be top coated with our UGloss, UGloss-AF, or UGlaze top coat products to prevent fast ware, chemical absorption and discoloration. 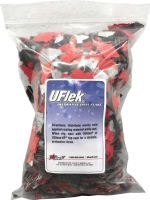 UFlek Flakes 50 Box 50 lbs. 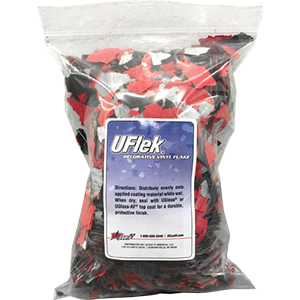 UFlek Flakes 25 Box 25 lbs. 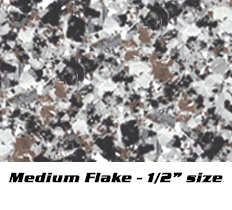 *Colors may vary based screen resolution and settings.